The thing that was most apparent and inspiring to us was the uninhibited support Kylie & Eitan's family showed. 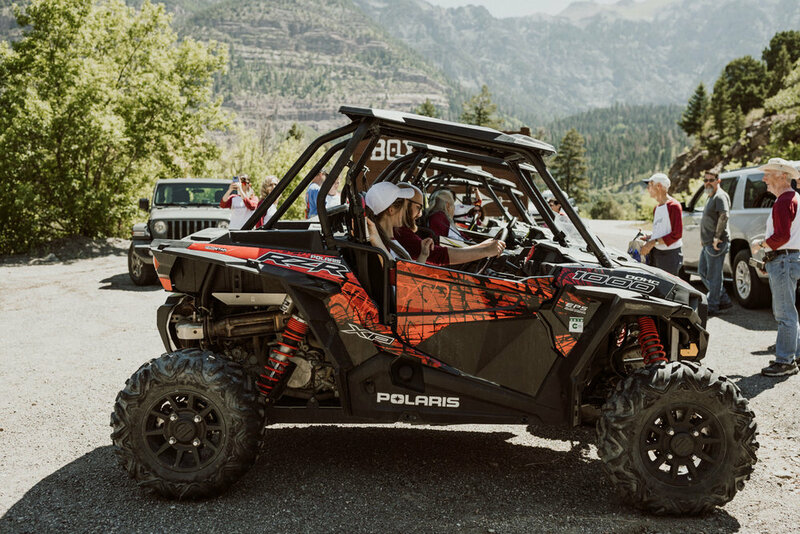 I think Kylie and Eitan are probably the only "outdoorsy" people in their families, yet everyone was 100% in for whatever their day brought – including driving RZRs and fording a freezing creek barefoot to get to the ceremony site. 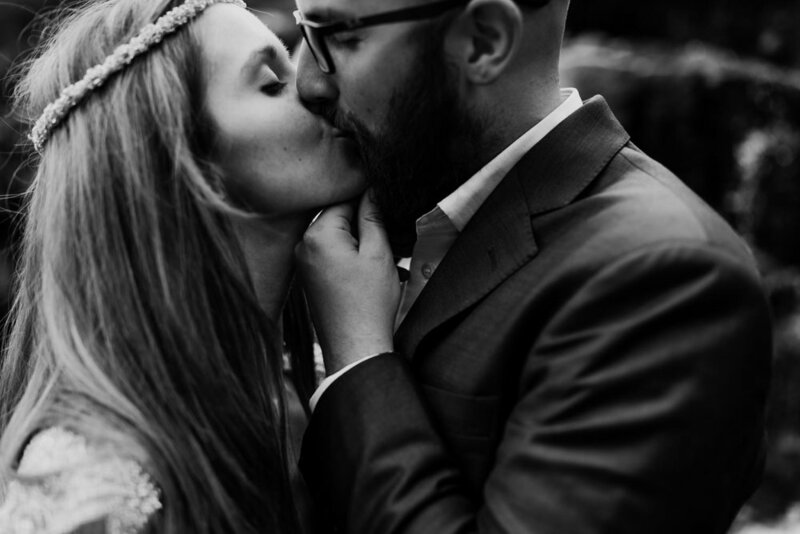 Their ceremony was one of the most emotionally intimate ceremonies we've witnessed. Kylie & Eitan welcomed everyone to their ceremony, then each person gave a word of encouragement and support, hugging them with tears and congratulations. It was so personal. 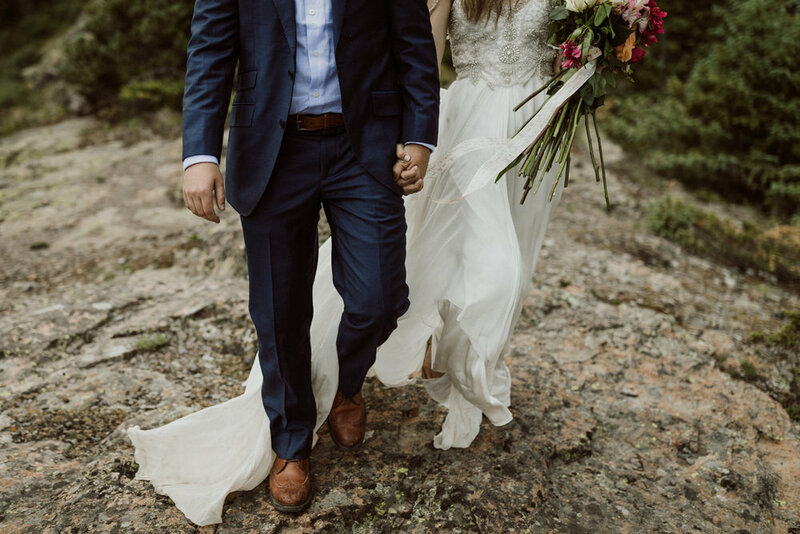 After the ceremony, we popped champagne, ate the most delicious homemade vegan cake, and explored the area's waterfalls and wildflower meadows for a few photos. The day was wildly free, lacking all the pretense of a traditional wedding. 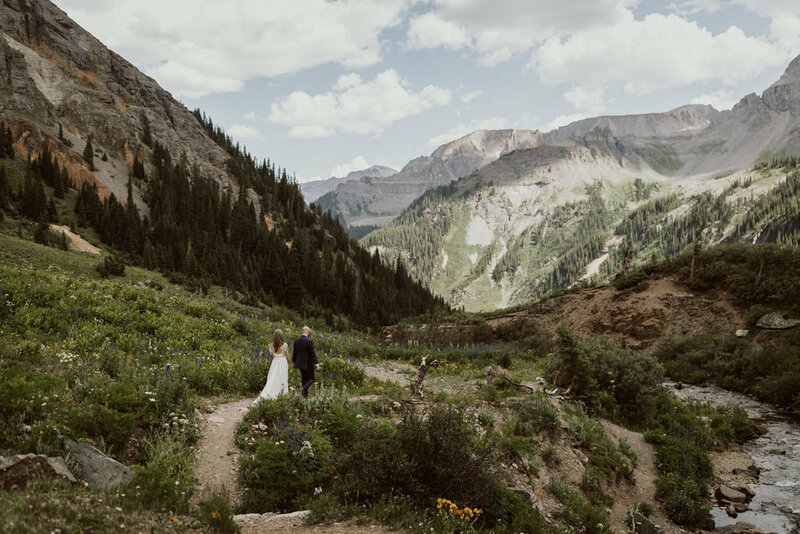 It was intimate, personal, and undeniably beautiful set against the backdrop of the San Juan Mountains outside of Ouray, Colorado. Congratulations to these two. I have a feeling their marriage will take them on adventures even more wild than this one.